It's not just common-or-garden instruments that SampleRadar has a penchant for, as this collection of sounds demonstrates. Click the download link below and you'll soon be experiencing the delights of the bodhran, jaw harp, thumb piano and udu. 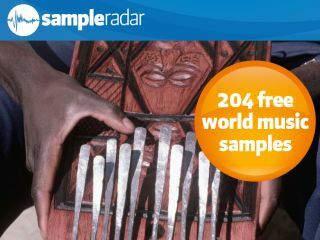 The world music samples are split into four instrument-themed folders of hits and loops. The BPM for each loop is listed in its file name. The world music samples are supplied in a zip file, so you'll need to extract them before you can see them. Enjoy!